Thanks for sending me a message. I look forward to reading it, and will get back to you soon. 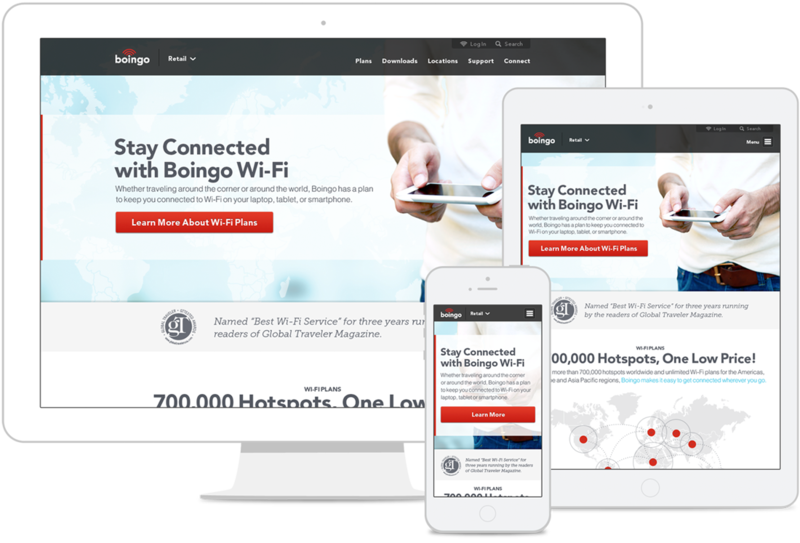 Boingo Wireless had grown significantly since the last time they had their web presence properly updated. 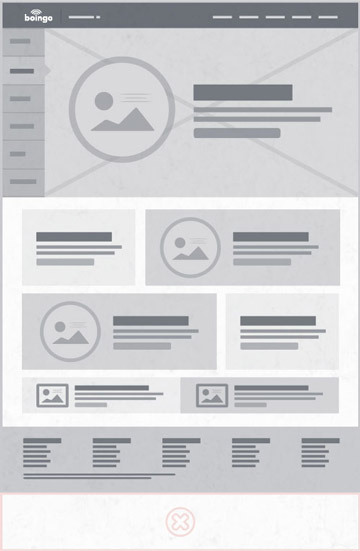 This led to a conglomerate of things being added to a site that had no plan for the additions. 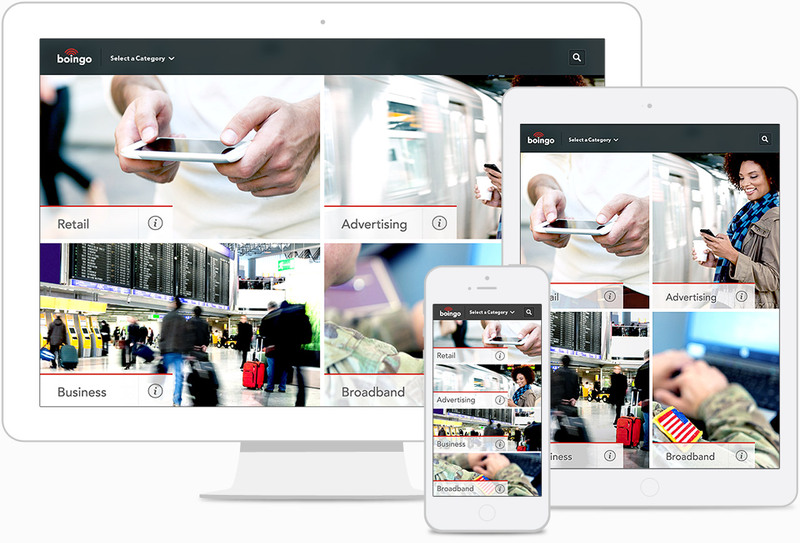 With recently updated brand guidelines, a complete redesign of the website was at hand. 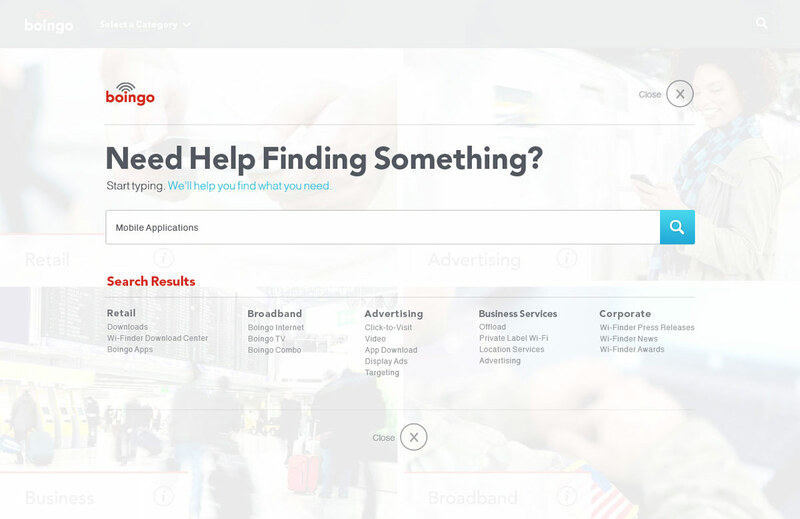 Myself and a few other designers worked with Boingo to narrow down and organize the content that they needed to display on their site. 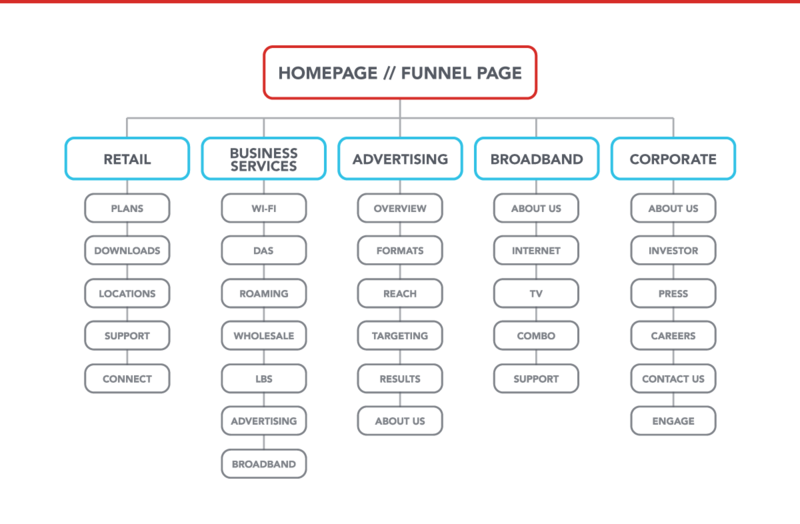 A sitemap and detailed content document was produced. 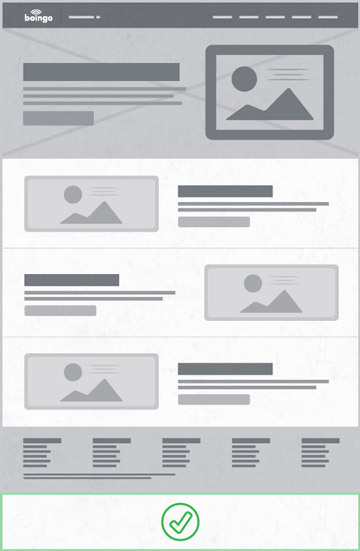 Afterwards, we began exploring wireframes and how different pieces of content could layout. 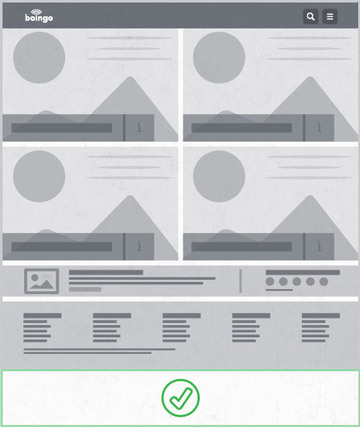 From there, several pages were designed to be flexible with the content they provided, while maintaining usability and a visual intrigue for users. 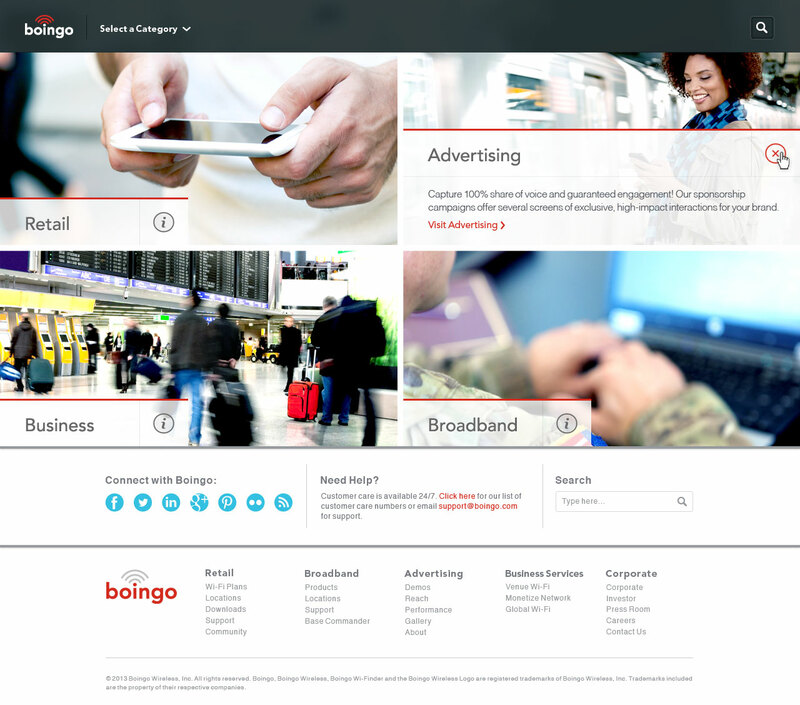 The Boingo site was split up into five main sections that would be accessible through the homepage. 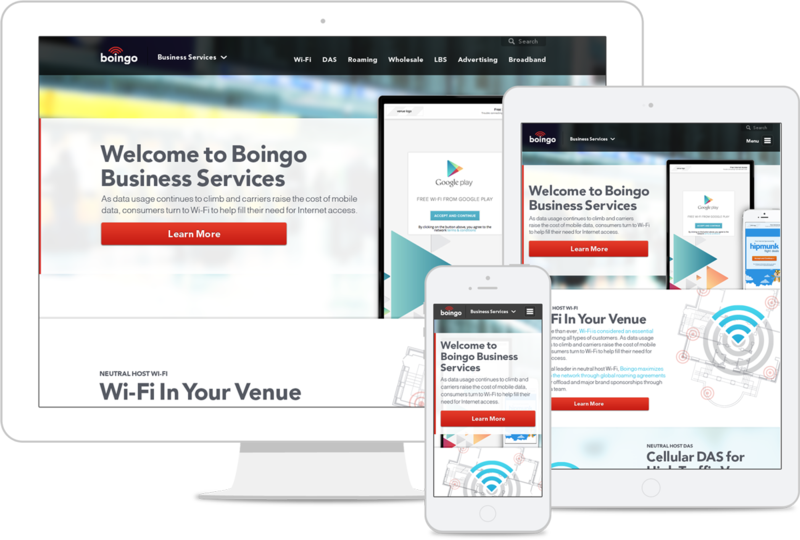 I took the lead in designing mockups for the different sections of the Boingo site, while adhering to the Boingo brand standards. 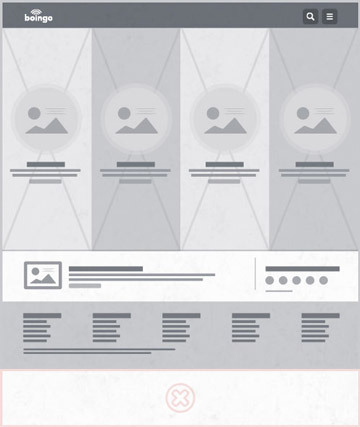 Each page was considered from a mobile perspective, and designed to ensure that the website could be experienced on any type of device. 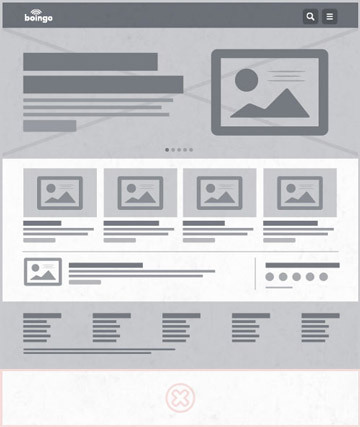 A one page approach for each section was taken, which ensured that content could easily be added or taken away from the site as needed. 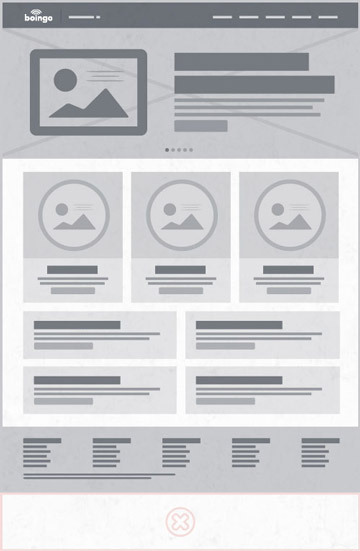 Designs for six responsive pages we're fully thought through. Once the designs were finalized, assets were handed off to Boingo for development. The designs have somewhat changed, but the site is live and viewable.